Jamie is an aspiring sports journalist, who writes about the sports that he knows and loves, with a strong emphasis on motorsport and boxing. 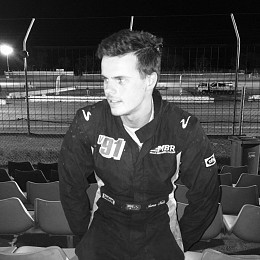 With a strong pedigree in motor racing, Jamie is extremely passionate about the sport, particularly Formula 1, and has been involved as both a spectator and a competitor from a young age, commencing his competitive racing career in karting before progressing through to cars. Jamie also takes an avid interest in boxing. Currently training in a boxing gym, he relishes being involved in the fight game, though he is yet to lace up his own gloves competitively. Follow Jamie on Twitter @JamieMillsVX13 and Instagram @JamieMillsVX13. 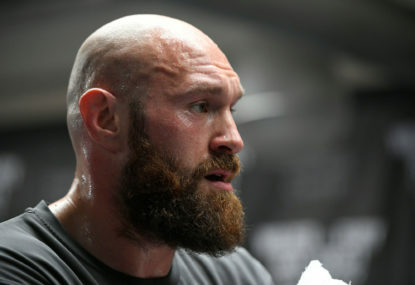 The world welcomed Tyson ‘Gypsy King’ Fury (27-0-1, 19 KOs) back to boxing’s big stage last Saturday night as he took on WBC title holder Deontay ‘Bronze Bomber’ Wilder (40-0-1, 39 KOs). Canelo versus GGG: Who wins? The highly anticipated middleweight showdown between Saul ‘Canelo’ Alvarez (49-1-1, 34 KOs) and Gennady ‘GGG (Triple G)’ Golovkin (37-0-0, 33 KOs) to decide who will reign supreme as the undisputed king of the division is now only days away from captivating the sporting world from the T-Mobile Arena in Las Vegas, Nevada. One of the greatest super-fights in the modern era of boxing is set to take place at the T-Mobile Arena in Las Vegas, Nevada, in the coming weeks, with a match-up that has been demanded by boxing fans for years. Jawad, really cool piece. Seeing Honda earn a podium result certainly made me feel a sense of relief for them after the turmoil that has surrounded their F1 program over the last few years. Hopefully at some point during this season we’ll be able to say that all current engine manufacturers have tasted victory in the V6 turbo-hybrid era. Excellent piece Michael. 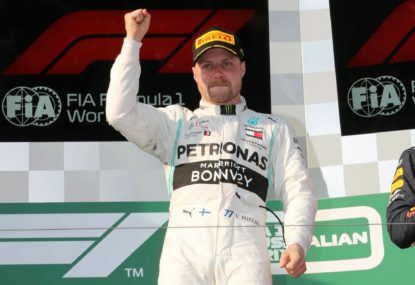 Valtteri was exceptional in Melbourne and I too hope that he can sustain this performance level for a full season and take it to Lewis like Nico did in 2016, especially if Mercedes is running away with it. Yeah, absolutely Joshua. I guess regardless of the issue of damage to Hamilton’s car, we can always expect to see him come back fighting in the next one, I just hope we get to see Bottas continuing to take it to him and pushing him like Rosberg did in 2016. Thanks mate, sure did enjoy the weekend. Favourite one of the year! I’m a huge F1 nerd, haha. Totally true that this is motor racing and Ford have done the absolute best job that they could within the regulations and would be silly had they not. It’s been the other way around plenty of times. How often do we hear of an F1 team questioning the legality of a part on a rival’s car? All the time. Nice observations Joshua. There were certainly plenty of surprises, but also plenty of the same hey. I’m looking forward to seeing what Bahrain has in store for us, while praying that Williams can start to bridge the gap. Nice summary Michael. There were plenty of positives that came out of the weekend as you outlined. Williams were obviously not one of them. Hopefully they can start closing the gap and getting more competitive over the next few grands prix. Nice recount Jawad. It will be interesting to see if anything comes out of this centre of gravity testing. You’re right about the control chassis too. Couldn’t agree more John. There are way too many belts out there and the WBA is especially bad for it. Although the Aussies didn’t fare so well in title fights in 2018, it’s great to see them in the mix. Unfortunately we also saw Kiwi Joseph Parker relinquish his WBO heavyweight strap to AJ, as well as Aussie heavyweight Lucas Browne suffering a brutal loss against Dillian Whyte, dropping him out of the world title mix for the time being. Hopefully these guys can get back in the mix during 2019. We’ve got some exciting prospects to watch out for. The Moloney brothers, George Kambosos Jr and Bilal Akkawy are all exciting fighters that I’ll be following closely, among others. As far as I’m aware though John, Keith Thurman is not vacating his WBA ‘Super’ welterweight belt. Manny Pacquiao and Adrien Broner will be fighting for the minor ‘regular’ version of the WBA welterweight strap that Pacquiao won against Lucas Matthysse. Fury is sure looking a lot better than what he did twelve months ago! He has never looked overly athletic, but moves better than any of the big guys. I agree regarding Wilder likely coming in heavier in the rematch, although I would expect Fury to be in better shape too and more prepared if he can stay in shape and keep fit this time and focus predominatly on fight tactics and boxing skills rather than juggling that while trying to built stamina from the ground up and shed all those pounds. Thanks for commenting Snowybaker. Each to their own opinion, but I’m quite sure there’s a lot more behind his punches than what you may think. I certainly wouldn’t want to wear them! The name of the game is to hit and not be hit. That punch and move style is what a ‘boxer’ like Fury does as opposed to a ‘puncher’ like Wilder. He looked to me to have hurt Wilder a couple of times in that fight too, but you’re right, he definitely doesn’t load up on his shots as much as Wilder does. I think the contrasting styles between the two made for an entertaining bout! Personally, I think middleweight is too big of a jump up for Horn, being two weight classes above where he’s done the majority of his campaigning and where he won his world title. Although the fight against Mundine was technically middleweight, it was at a catch weight of 71kg which is below the middleweight limit. Some of the top rated guys at middleweight would just be too big for Horn in my humble opinion. 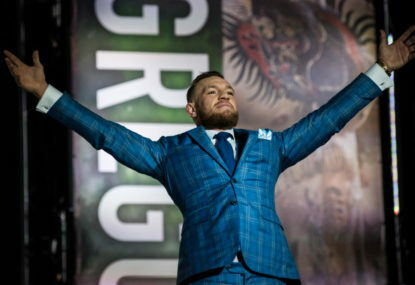 He seems to be at his best when he can throw his weight around and bully the opposition a little, which I don’t see him being able to do to the bigger guys at middleweight, although I’d love to be proved wrong. Perhaps light middleweight is the answer if welterweight is too much of a drain to continue to make? A showdown with someone like Kell Brook down the line could be a good earner. It definitely has been quite a while! I missed it. I plan on being much more regular in the future! Absolutely, a new scoring system that makes it easier for everybody to understand and follow can only be positive for the sport. Personally, my opinion is that Tyson Fury won that fight against Deontay Wilder. Yes, he got knocked down twice, and even though that does count for a wider scoreline in those two rounds, it means nothing for the other ten. With each round being scored individually, and being scored on defense, ring generalship, effective aggression and hard and clean punches landed, I feel that Fury outboxed Wilder in the majority of the other ten rounds and certainly did enough to get the nod from myself. Although with the three official judges coming up with three different results, a draw and a rematch isn’t the worst outcome. The Horn v Mundine fight was quite underwhelming for me! Horn did everything right and looked great, but I was hoping for a bit more from Mundine in his final outing. I actually expected him to be competitive going by his previous two performances, but he looked every bit of his age. Hopefully Horn’s next fight can catapult him back onto the world stage! As a huge fan of boxing and Formula 1, I must say I thoroughly enjoyed seeing Michael Buffer involved. As the festival feel does come through on television and is not felt only at the track, I think it’s a great way to showcase what each locality is about to a huge audience. Not only to get people more interested and excited about Formula 1, which is great, but for the promoters to get more out of it and really make an impact on the viewers and perhaps get people more interested in visiting their country. I went away from watching the US GP genuinely considering booking some tickets for next year’s edition. If that thought enters the minds of more viewers then it obviously works. Some localities will appeal more to each individual’s tastes, so, as you said, if each host puts their own flavour and injects their own culture into their event I think it would be a great thing. If each grand prix appears the same as each other pre-race and post-race then they might as well be just down the road from each other. They all have an enormous multi-day platform to be able to showcase what they have to offer and the more it starts to get utilised the better for all. Being trackside on Saturday for Hazelwood’s shunt, to have him walk away unharmed and be able to jump straight into his Super2 car and score a great result was amazing to see. Great to see Waters take the win too. Thanks for your comment TJ, I hope you enjoyed the fight! Seemingly they were fairly evenly matched. The positive is it looks like we’ll all be treated to a rematch. That’s the great thing about sport hey RBBAnonymous, no one ever truly knows until it has played out. Hope you enjoyed the fight! Sorry David, I’ve only just seen your comment now. I hope you enjoyed the fight. Unfortunately for GGG it did go to the scorecards, and he seemingly didn’t get a fair shake as you mentioned. The 118-110 scorecard for Canelo was ludicrous and was obviously penciled in before the fight, but at least we’ll all be treated to a rematch. Thanks for your comment Mike, great to hear your thoughts. I agree, I don’t see Golovkin taking a backward step. Your prediction in a ninth round TKO victory for GGG is exactly what I’ve predicted as well! Great minds think alike, haha. Congratulations on your first article being published on The Roar Drew, I enjoyed reading your views. Enjoy the fight, I do think it will be a real spectacle. Thanks Machooka, I appreciate your response. That’s the only way I could really sum it up too haha, and I’m not usually a fence sitter either, but it’s just that hard to pick a side. I am slightly leaning toward a Golovkin victory too as I just replied to BigJ above, but no outcome would really surprise me in this fight. Enjoy watching the event, I’m expecting fireworks! You’re not alone there Drew, it feels a bit like Christmas I reckon! Haha. Yeah, I can’t disagree with that prediction at all. Although I do think it is very 50-50, I can’t help but lean toward Golovkin and a stoppage around the ninth as I just wrote to BigJ above. Unfortunately I did read about Mundine calling out Horn, let’s hope that’s the last we hear of it. Yeah, I can see that happening BigJ. I’ve been reluctant thus far to state my prediction, but I will do so. 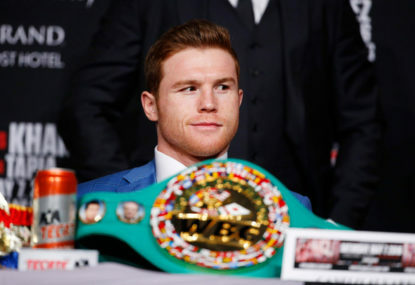 My thoughts are that Canelo will start the strongest and look the better boxer early on, before GGG wears him down with his constant forward pressure, takes control and overwhelms him later on, with the referee stepping in to call a halt to the contest in the ninth round. I love the fact that there’s a million different possible scenarios though, and can’t wait to see how it plays out! You’re spot on mate, the undercard does look good too, I’m excited for those two fights and the fact that the whole event promises to be fantastic, not just the main event which is another plus for fans.